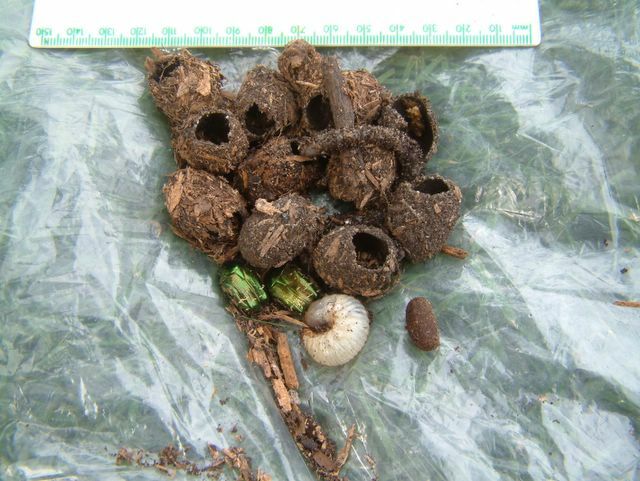 Eleven Cetonia aurata cocoons, only one of which was still intact. One Cetonia aurata L3 larva, HCW=4.5 mm. One Lepidoptera cocoon, to the right of the larva.